Rejoy Shamsudeen is an industry expert in QHSE with more than 15 + years of experience in various capacities in the oil and gas industry. Currently, he heads the Corporate QHSE Practice for MB Petroleum Services handling operations across the GCC region. 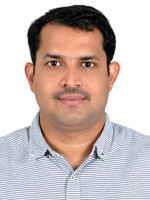 Rejoy brings with him excellent technical knowledge on health and safety coupled with strong experience in operations which makes him one of the foremost authorities for HSE particularly within the OGP space.